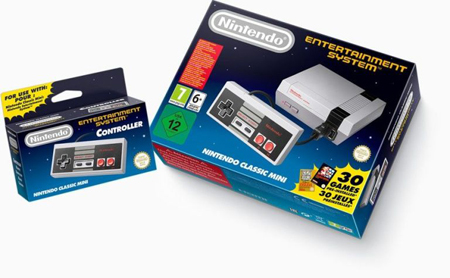 The Japanese gaming giant has just announced its intention to recreate the classic Nintendo Entertainment System for the modern era. 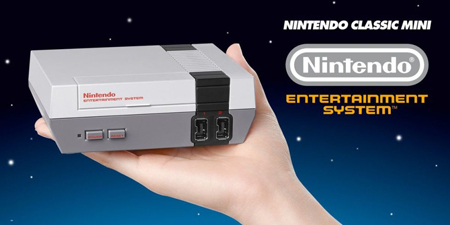 Say hello to the Nintendo Classic Mini. Well, that came out of nowhere! The NCM appears to small enough to be held one-handed and comes with a selection of 30 games built-in. Though a glimpse at the front of the console shows what is presumably a cartridge slot for putting your original games to use. Further details on the Nintendo website reveal that the NCM is fully HDMI capable and is powered via a single USB port. Both cables will ship with the product along with a single controller. Nintendo has clearly been following some of the insanely popular emulator projects on Kickstarter and decided to go the whole hog with its own entry into the market. No emulator can compete with a high-fidelity recreation of the original hardware. There are no details on whether the NCM will improve on the original console’s functionality, but presumably Nintendo will be following up with further details. This entry was posted on Thursday, July 14th, 2016 at 4:00 pm and is filed under Gaming News. You can follow any responses to this entry through the RSS 2.0 feed. Both comments and pings are currently closed.